Pindola Bharadvaja was one of four Arhats asked by the Buddha to remain in the world to propagate Buddhist law. 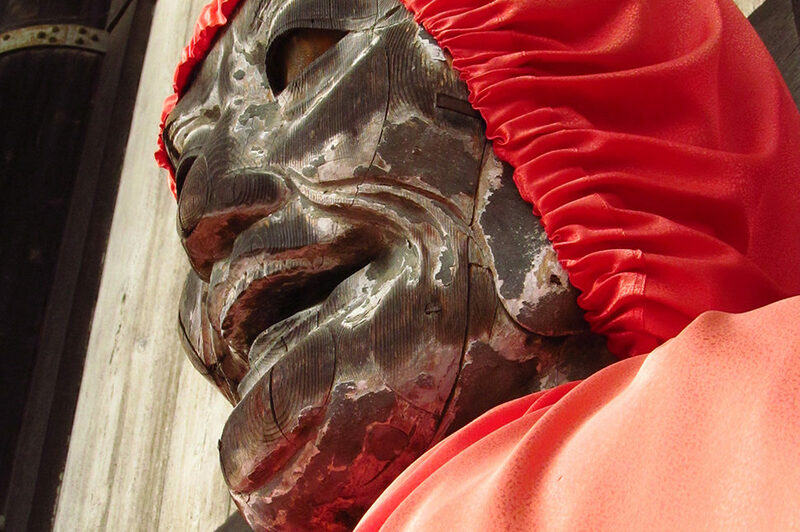 On display is a wooden mask of Binzuru, a Japanese Pindola. Statues of him are usually well worn, since the faithful follow the custom of rubbing a part of the effigy corresponding to the sick parts of their bodies, as he is reputed to have the gift of healing.